Lexus Broadway in Austin presented by Texas Performing Arts spotlights Cameron Mackintosh's spectacular new production of Andrew Lloyd Webber’s The Phantom of the Opera. The magic begins April 19 – 30, 2017 on Tuesday – Friday at 8 p.m.; Thursday (April 20) at 1 p.m., Saturday at 2 p.m. & 8 p.m.; Sunday at 1 p.m. & 7 p.m. at Bass Concert Hall / 2350 Robert Dedman Drive in Austin, TX. 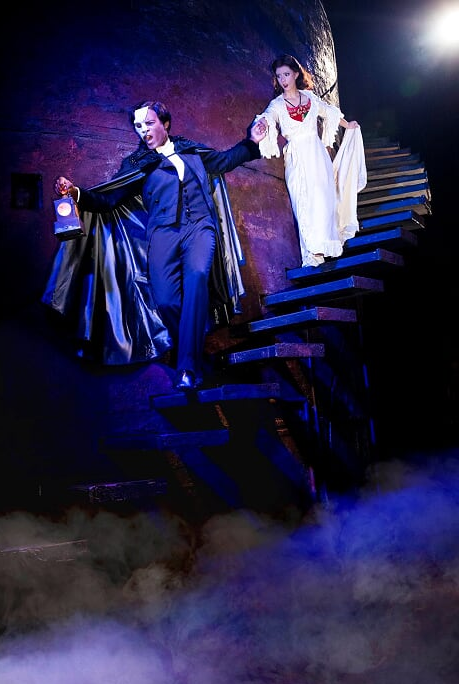 Cameron Mackintosh’s spectacular new production of Andrew Lloyd Webber’s The Phantom of the Opera opens with Austin’s premiere engagement at Bass Concert Hall. Yes, with newly reinvented staging and stunning scenic design, this new version of it is performed by a cast and orchestra of 52, making this one of the largest and lushest productions on tour in North America. Based on the classic novel Le Fantôme de L’Opéra by Gaston Leroux, The Phantom of the Opera tells the story of a masked figure who lurks beneath the catacombs of the Paris Opera House, exercising a reign of terror over all who inhabit it. He falls madly in love with an innocent young soprano, Christine, and devotes himself to creating a new star by nurturing her extraordinary talents and by employing all of the devious methods at his command. Cameron Mackintosh’s brilliant original production of Andrew Lloyd Webber’s masterpiece continues performances at Her Majesty’s Theatre in London, its recording-breaking run at the Majestic Theatre on Broadway and many other cities around the world.